Admiralty R class ships were kept as their design conformed with Admiralty ideas, spares and crewing arrangements. You went aboard an Admiralty R and you knew where you were. As the years rolled past more and more of them ended up in far out postings like Sierra Leone, Singapore, Hong Kong and in the Pacific Islands chasing pirates and cannibals. 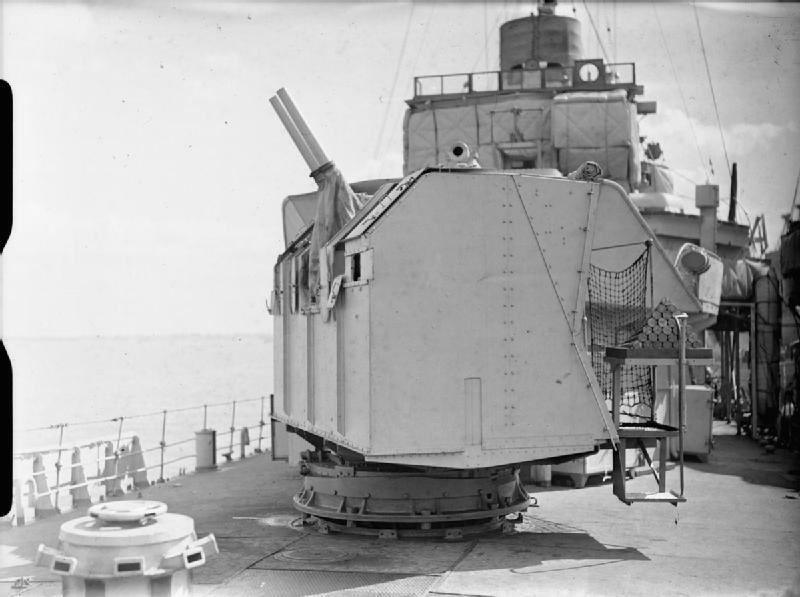 The main change in the 1920's was the removal of the centre 4" gun and replacing it with two single 2 pounder AA guns. Those ships that made it out of the 1920's had enlarged bridges fitted, which was so a gunnery controller could be fitted for the 4" then for the 4" AA guns fitted in the mid 1930's. Originally the class were coal burners and were converted to oil burning during the 1920's. These ships were kept as short range escorts for use around the UK and Mediterranean theaters. For these tasks the ships original low angle 4" were removed and refurbished with a new HA/LA mounting and shield. Also used as coastal escorts in the English Channel, the forward 4" was removed and replaced with a twin 6 pounder mounting, which with its much faster rate of fire, was more use against E-boats than the 4" (also against aircraft). The period 1930-40 also saw the ships begin to be converted to long range escorts. This entailed the removal of the forward boiler room and funnel. The boiler room being converted to extra oil stowage. 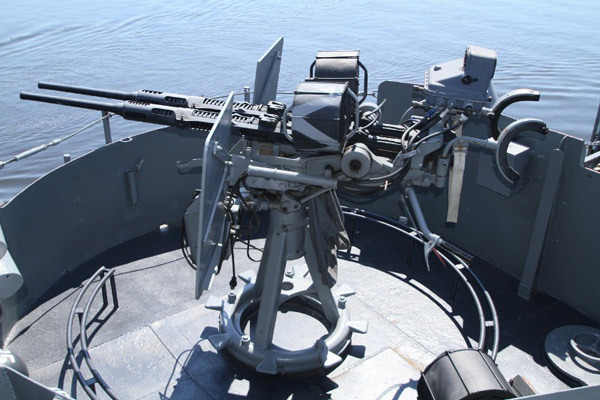 The Sharpshooter and others like it were used on the UK to Gibraltar route and around the coasts of the UK. To be used as anti-submarine escorts the ships were fitted with ASDIC when it became available, and depth charges. One set of torpedoes being removed to allow for the extra weight of the new equipment. The English channel version featured a twin 6 pounder mounting in place of the forward 4" gun, a better weapon for fighting E-Boats at close counters. The biggest problem with the R class was the lack of an upgradeable future for them. They were very narrow ships and rolled a lot. Add too much top-weight to them and they would become turtles. Three twin 20mm mountings were fitted to the E-Boat Alley, R Class ships. These antiquated ships carried some of the hardest fighting of the war without flinching or breaking down (too often). Dicing with E-boats in the dark, to dodging Stukas during the day, the ships ended up with various extra 'non-Admiralty approved' weapons being fitted. These guns were required for the extra AA tasks of fighting off enemy air attacks from Stukas to marauding fighters straffing everything in sight. The remaining ships of the dozen sold to Southern Africa as escorts to the battlefleet were converted to long range escorts for use on one of the long convoy runs South Africa was responsible for, Durban - Perth, Durban - Suez, or Capetown - Sierra Leone. The Springbok (above) was torpedoed and sunk on the Cape Town to Sierra Leone route, two other escorts from the convoy sinking its attacker. The Springbok's name was passed on to the 1943 minelayer. Original drawings converted from more modern destroyers, close but no cigar.